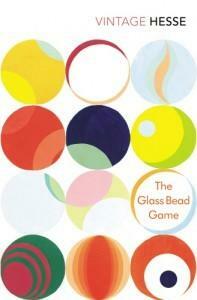 It is the 23rd century and the Glass Bead Game is an ultra-aesthetic game which is played by scholars in the kingdom of Castalia, the remote place society has provided for the intellectual elite to grow and flourish. This game involves all branches of knowledge, and spirirtual values - especially those of the east. Since childhood, Joseph Knecht has been consumed with mastering the Glass Bead Game, which requires a synthesis of aesthetics and scientific arts, such as mathematics, music, logic, and philosphy. This he achieves in adulthood, becoming a Magister Ludi (Master of the Game) and also faces the dilemmas posed by the game’s development into a ritualistic form of intellectual worship.First published in 1946 The Glass Bead Game was considered Hermann Hesse’s magnum opus and follows the tradition of Steppenwolf securing its place among the most important novels of the twentieth century. In simple, mesmersizing prose, Hesse tells of a journey both geographic and spiritual, as various historical figures travel together, encountering everything from Noah's Ark to Don Quixote. Integrating Eastern and Western spiritual traditions with psychoanalysis and philosophy, this title tells the story of a young Brahmin's search for ultimate reality after meeting with the Buddha.